This 2 bedroom and 1 bathroom property located in Kosmosdal offers a open-plan lounge area and kitchen. Double security as it's a complex within a security Estate. Easily accessible to major highways, @Reds Mall, Virigin Active and schools. Carport for parking, own private washing line for laundry and small garden with great potential. The complex offers a club house with tennis court, play area and braai facilities. Priced just right, this could be your dream home. Contact us today for viewing! This very big stand for sale is located in a well-developed suburban area close to a petrol station, a range of primary & high schools, public transportation and 10 minutes away from Mafikeng CBD. Priced to sell! Contact us for more information. Stand for sale in Mmabatho lies close a park, the main road, public transportation access, petrol station, police station headquarters, near schools, 3. 5 km from Mega City Shopping Centre, 3. 8 km from the University of Mafikeng and 15 minutes drive from the Mafikeng International Airport. Priced to sell! Contact us for more information. This 1. 4 hectares piece of land is for sale, close to St. George Hotel, Rietvlei nature reserve, Irene shopping center, Route-21 business park with easy access to N1, R21 and M57. Great potential for industrial or commercial use. Contact us today! This 3 bedroom and 2 bathroom family home is up for grabs. Situated in Soshanguve Block H, the well-maintained, neat property with a beautifully decorated garden will capture you. Property is located close to Tshwane University of Technology (TUT), Transvaal College Of Education (TCE), SPAR and the main road with public transportation. Love and appreciate the home you live in. Contact us today for viewing. A lovely piece of land in a well-developed area of Mmabatho Unit 4 is for sale. Vacant land is close to fuel stations, SAPS headquarters, SAPS office, primary & secondary schools, Mega City Shopping Center, The Crossing Mall and The University of the North West. Perfect for commercial investment and business opportunities. Priced to sell! Contact us for more information. Own your property with this 3 bedroom single storey house for sale in Moloto. Avocado trees on property could advantageous for business opportunity . Property close to Moloto mall and walking distance from community clinic. Priced just right! Contact us for viewing. This 2 bedroom and 1 bathroom property located in the area of Atterdidgeville West. Ideally perfect and well packaged for a start-up, small family or investment purposes. Lock-up and go gate, walled with burglar bars on windows. Property has plenty of potential for a small garden, vegetation space or small entertainment area with built-in braai area. Close to public transport and schools. This could be the perfect home you have been looking for, own your property. Contact us today for viewing! This well maintained and modern apartment is for sale in Centurion. Centrally located in walking distance from the Gautrain station, walking distance from shopping complex which includes entertainment and food, a short distance to the Centurion Mall, petrol stations, schools and medical clinic. Property is also nearby other public transportation points (taxi and bus). This complex boasts a braai areas, guest parking and a roof top entertainment area. Perfect and ideal for a start-up, couple or a small family. Contact us for viewing. Ground level townhouse for sale in the area of Therespark. Property boasts a beautiful 3 bedroom with 2 bathroom, a dining room, lounge, kitchen and manageable garden with a Jacuzzi, Property is in the perfect location and is close to schools, shopping complexes, access to highway or main roads, public transport, churches, park and recreational area. Contact us for viewing. A newly built house with neat build-in kitchen cupboards, 3 bedrooms and 1 inside bathroom with bath. The garage allows easy access to the outbuilding which includes 2 rooms and a bathroom. The outside rooms can be used as storage, office facilities or rented out to tenants for extra income. This newly built face brick property requires finishing touches but has immense potential with ample space. The property is in close proximity to the main road, schools, shopping complex and public transportation. Your dream home awaits. Contact us for viewing. 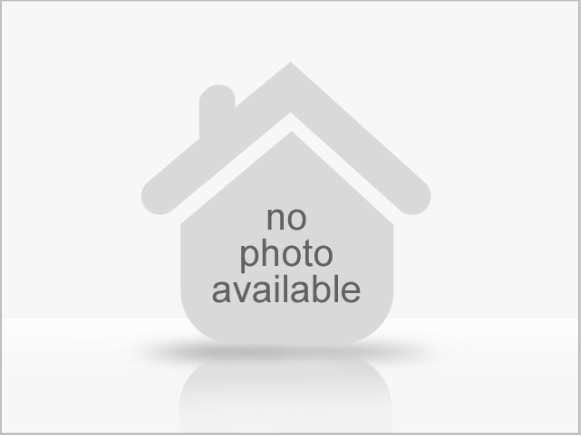 Lovely 2 bedroom house for sale in Equestria. Very clean and well maintained property on the ground floor with a small maintainable garden. Ideal property for a start-up, small family and investment purposes. The property includes a clubhouse, guest parking and a recreational area. Find comfort that it's in close proximity to numerous fuel stations, SAPS units, schools, Silverlakes Shopping Centre, Silver Oaks Crossing and Six Fountains Life Style Centre. Value for money in Pretoria East. Contact us today for viewing. This face brick property is for sale in Soshanguve Block AA. A 10-15 minutes walking distance to Soshanguve Plaza, close to schools, clinics and public transport. A 3 bedroom with robe fitted cupboards, the 2 bathroom home includes fitted kitchen units, dining room, lapa and braai area for entertainment; including an outbuilding with room and bathroom for extended family members or can be leased out for extra income. The property is paved both inside and outside the yard. Contact us for viewing. Corner house in the area of Soshanguve Block L. This property boasts 3 bedroom and 1. 5 bathroom with an outside room and toilet. House is near public transportation and schools. Dare to own your own property. Great price. Great property! Contact us today for viewing. Invest in your future and build the house of your dreams with this lovely piece of land within a developing Estate! Well secured with 24-hour security, property close to Wonderpark Mall, schools, public transport, leisure and shopping complexes. Great buy and a must view! Contact us today.